To see why, check out Comments #121-128. He’s not an empath, as I noted in Comment #132. Well, being an empath isn’t the only game in town. So let’s get started researching. Will Justin Trudeau’s Aura Be as Flashy as His Grin in This Photo? For today’s exercise in energetic literacy, I’ll use this adorable aura picture of Prime Minister Trudeau. For “More About Aura Reading,” details about technically what kind of aura reading is being done here, please skip down to the end of today’s article. In advance I apologize for my ignorance of Canadian politics. For all you readers from The Land of Eh, please forgive my reading one of your politicians. Sometimes aura readings can seem presumptuous when a foreigner is seemingly “judging” one of your most important readers. Well, I’m not doing this energetic literacy research with an agenda. I’m using my skills, just as you can. One person’s research, that’s it! Blog-Buddies, I’m reading this one first because Prime Minister Justin Trudeau does have this as one of his optional-type chakra databanks. Every human alive has plenty of optional chakra databanks, in addition to the standard-type ones I’ll be reading elsewhere in this aura research. But most people do not have the ability to send out a kind of glamour, or strong impression, to others. Some folks just happen to have this talent, and one of them is Prime Minister Justin Trudeau. Fills the room snugly, no matter how large the room nor how highly rated the broadcast. Everyone receives this gorgeous personality projection. Yes, Prime Minister Justin Trudeau is so full of charm and charisma, it nearly drips off his aura. Fresh as a flower! A hero! A man of astounding goodness! 24 feet. Observing himself, in an actorly way. Have you ever noticed, Blog-Buddies, there is a manner of paying attention to self that is seen sometimes in public figures, often in actors, where the person has a good sense of how he or she is coming across to others, and monitors that. Hidden behind the dazzle of that oh-so-charming and carefree personality projection — seems to me — Prime Minister Justin Trudeau cares a great deal about conveying just the right qualities that will make him a powerful politician. 4 inches. A very tricky communicator. Seems to me, Prime Minister Justin Trudeau’s words are carefully selected, in the moment, to seem both credible and impressive. The force of his personality projection backs up what he says. But not the force of personal committment, principle, or … well… integrity. Really, it’s quite a practiced skill, seeming really credible and honest — through a calculated performance. This chakra databank is about following through with what is promised. Always so hard for a head of state, even under the best of circumstances! This chakra databank, though, isn’t about what members of the political opposition will do, or about other factors beyond a political leader’s control. What I’ll be reading here is about making results happen if Prime Minister Justin Trudeau has his way, and there’s nothing in the environment to stop him. 40 miles. Prime Minister Justin Trudeau cares passionately about accomplishing what he says he will do. With this chakra databank, Blog-Buddies, we address Prime Minister Justin Trudeau’s personal style as a politician around using the power he has won. 18 feet. As unsubtle as his personality projection is built for charm, intricately. Evidently Prime Minister Justin Trudeau will speak quite differently to his inner circle, and go directly for what he wants. Very forceful guy, and he’d be like that even if he hadn’t been elected to anything! This forcefulness could serve Trudeau well for getting results. This chakra databank reveals more about how Prime Minister Justin Trudeau’s leadership will appear in public. 6 inches. Prime Minister Justin Trudeau not only compromises, as needed. He APPEARS to compromise, making it very evident when he shares power that he is working with others, cooperating graciously yet with a firm hand. However, even the idea of having to compromise, rather than doing things 100% his way, does rile him up. Why would I put such a thing into this blog post? Because, at the time of this photo, anyway… Prime Minister Justin Trudeau reacts quite strongly to having to share power. His habitional reaction is anger. This chakra databank isn’t about a person’s religion or belief system, and the degree to which the person lives up to those ideals. More nitty-gritty than that! This Spiritual Integrity Chakra Databank reveals what that person really answers to as the most noble inspiration, plus the degree to which the person really answers to it. 3 inches. At the time of this photograph, Justin Trudeau bows down to his own burnished image as a very, very important and brilliantly intelligent and powerful leader. He will do what it takes to succeed at impressing the world with that fine image. 90 miles. Prime Minister Justin Trudeau loves being photographed. He loves the limelight as much as he enjoys having political power. Prime Minister Justin Trudeau doesn’t only want to do things to help his nation. He aims to be seen as THE ONE doing them, and to be celebrated as such. This is why he was born into a political family. The eldest son of former prime minister Pierre Trudeau, Justin Trudeau is on target now. He’s beginning to explore one of the main things that he came into this lifetime to explore. May it become something beautiful! The skills for depth aura reading are so important for Rosetree Energy Spirituality. Just as mathematics is the language of science, so is aura reading the basis of mind-body-spirit techniques — whether for aura healing or personal growth, and even making rapid progress on one’s path to Enlightenment. Here is a useful resource for learning more about aura reading — how it doesn’t have to be psychic development when taught as a form of energetic literacy, our Top 10 List about Energetic Literacy. And, if you’re really curious about the full range of energetic literacy skills, as they can be developed by YOU, here’s an update about that was published in April 2016. A less than perfect politician. But… I am tempted to say… there are others who could well be a lot less perfect… not mentioning any names ha ha!! This aura reading seems to suggest that Trudeau is as much a performer as a politician. I think Ive always been rubbed the wrong way by individuals who perform what they are more than just being who they are. Going back to when I was a kid, and also an unskilled empath, the classmate who always had to be seen in a certain light (i.e. popular, good, a rebel) regardless of what they were truly like, which was often the opposite of that they strove to project, always stirred up a certain disgust in me, far more than a bully, or a weird kid, or the never showers kid, who owned who they were. I guess Id take a bank robber with integrity in his chosen profession over a righteous priest who abuses his appearance of piousness. As most people in Canada, I have been fascinated by Trudeau. Ive not ever liked watching video footage of him talking, but like going over his speeches in print, go figure. And my big impression is that when he says he wants to accomplish something, he means it. People come in all colors and personalities. So he enjoys the spotlight. Many charismatic and world-class leaders have had a dramatic streak to them, its not necessarily a bad thing. Of course, many of us are comparing this new PM to the old one, who not only didnt have people skills, and refused to try and develop them, he made a real mess for Canada in a lot of areas, and was only interested in his good ole boys club. I think this is why so many of us hold hope for the young Mr Trudeau, despite some annoying character traits! I dont care how many people run up and want selfies with him. The fact that he takes time to spend a moment with them is a good trait in a leader. The fact he has zero issues with a gender equal cabinet (that one got world wide waves, right off the start), or that his whole campaign was an absolute refusal to join in the bashing he said/she said propaganda, impressed me. As a Canuck, pretty interesting. A few traits in there he shares with his father. As mentioned, a lot of hopes pinned on him. He doesn’t have half the constraints Obama has had. He’s introduced an infrastructure spending budget, well over what he suggested it would be. Hopes everywhere some of that money will land there. But some of the wrinkles have begun to show – some of that mentioned compromise like on oil pipelines. His father was renowned for speaking his mind, whoever it annoyed – thats a difference. A revealing reading. Thank you for doing this one, Rose! I cant really fault him for that. A soul might feel quite a rush of glory to be celebrated for things rightly achieved. MY work. MY accomplishment. MY progress. Even my personality, to the extent that it can help drive the agenda. Thank you for doing this reading, Rose. Every reading you do is such a treat and much appreciated! I really like Justin Trudeau. Liked him before the reading and I like him after it. Im with you, Cathy, about him enjoying the spotlight. I figure it comes with the territory. How could anyone become a politician without a big ego? And frankly, since politicians are so often in the public eye, Id sure prefer someone with charm and charisma to some of those we have in our presidential election in the U.S.
How about Mr. Lucifer in the Flesh Ted Cruz, for instance? Thats what his former colleague in Congress, John Boehner, called him. My ex-husband was a minister who was most definitely wrapped up presenting himself as the pious religious guy to his church while he was being dastardly at home to his wife. It was truly revolting. Im with you on not liking that sort of disconnect. I dont get the same picture of Justin Trudeau at all. I give him credit for using his charm and charisma to advance a progressive agenda. Rose-Thank you for doing this what a fun read! It doesn’t surprise me that even though Justin was only a teacher before this that he wasn’t destined to be in the spotlight one way or another. His soul is really having fun and that is wonderful. I disagree that someone needs a big ego to become a politician. Ever heard the phrase public servant? It is also possible to sometimes enjoy the spotlight without craving it and without vanity. I think this distinction is important because just enjoying and being comfortable with the spotlight/performing in a public capacity is fine, a harmless and possibly pure part of someones personality that could help them in particular careers or lifestyles. Vanity, craving the spotlight, craving public approval, and making choices based on this above all else  a fame craving which can become tantamount to an addiction  is a quick and easy path to corruption. When someone seemingly could go either way, and does go either way depending on the situation (as seems to be the case with Trudeau, if Ive read correctly), that is a red flag to me. Blog-Buddies, I’ve been enjoying all the comments so far at this post. Even cherishing them. 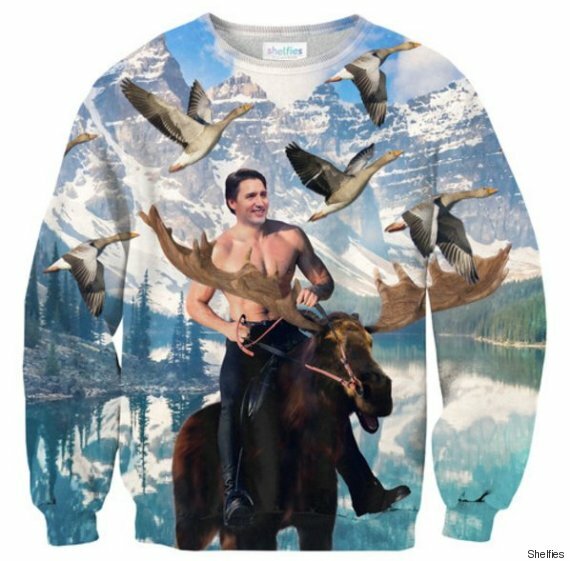 Of course I have high hopes for Canadian Prime Minister Justin Trudeau. However, I agree completely with what ISABELLA C. has written here. If we continue to believe that only the vain, the egoic, the wrong and the silly get to be important and influential players in the world, we will never step up. Leadership does not have to be for personal glorification. It doesn’t even have to be mixed up in it at all. Actually, this is true of every public figure on my Enlightenment Life List. And it’s also true of everybody on that list who is NOT a public figure. Take a look through that list and be inspired! Politicans don’t have to be perfect in order to be effective. Or beloved. * Being driven to act, based on self-aggrandizement. * Sending out personality projections. Wow.. Sorry to hear that Grace. That’s quite the response to my example. Wow, that must have been crazy making. Also, it’s easy to point out how bat sh-t crazy Cruz and Trump are, but I think progressives (which I would categorize myself as, with certain caveats) also need to look critically and objectively at the foibles of their own candidates. I have no idea who Trudea was up against, but I’d imagine he’s the better president for the country’s future! * Having a distorted sense of personal integrity (e.g., Having an over-functioning chakra databank that is distorted in its quality, as is often the case while people are suffering from spiritual addiction). Personally, I have been thinking a lot about being a public figure related to my career in RES growing. It is not something I have been comfortable with. Finding a strong ego-type motivation to be more public in my career has not worked. Sure, Id like to make more money. But does that drive me? Not really, except if I am fighting for basic survival. Sure, Id like to get credit for the work I do, and appropriately receive acknowledgement. But are accolades a big enough motivator to put myself out there, in a possibly scary way? I receive enough acknowledgement from friends, family, and God. What has given me motivation and made it possible for me to move forward in a public career is *service* and *honoring the information that has been entrusted to me*. Regarding Justin Trudeau, my comments were less about him – he was probably a great choice, considering the options, and hopefully he will do really good things for Canada and the world. This is more about us stepping up as leaders. We exist, don’t we? What are we, chopped liver on the sidelines of life? Look around the blog and in real life and you will see people growing in big but maybe quiet ways, becoming leaders in their own areas of the world. I would add Senator Elizabeth Warren to the list as well, Rose. Thanks so much for the latest round of comments, DAVE and ISABELLA C.
I am so touched by what you’ve written here, ISABELLA C.
Of course, I feel the same way. This core value explains a lot about how I run the Mentoring Program in Rosetree Energy Spirituality. The highly selective process for approving candidates for apprenticeship doesn’t require superheroes, but one of the requirements is appropriate motivation and purity of heart. Isabella C, of course I’ve heard of Public Servant. When I say that it takes a big ego to be a politician, that does not at all instantly mean that having a big ego equals devotion to self-aggrandizement. Not at all. You’re disagreeing with something I didn’t say. It takes a very strong sense of self (hence, big ego) in order to go through the difficult process of being elected. Sure, President Obama and Hillary Clinton are Enlightened. They also each have an incredibly strong sense of self. I do not think it would be possible to go through the process without that sense of self. Donald Trump, in sharp contrast, has a big ego that is focused solely on power & self-aggrandizement. Huge difference. I’m choosing to focus on what I learned from Rose’s reading, look at the general direction, to the best of my admittedly limited involvement with Canadian politics, of his focus in his work, and appreciate the positive. Should he fall into some abyss of corruption down the road, well, then I’ll deal with that then. But for Pete’s sake, what the heck is wrong with appreciating the positive in this person? There’s enough nastiness in the world at the moment that celebrating the positive feels important to me. Grace, I *am* sorry to have offended you. I didn’t mean to be addressing or calling you out directly, which is why I didn’t include your name. I can see why you may have found that rude. I’m glad we both have our opinions and what is important to us. And our passions. Bravely said Isabella. This time on earth requires leaders motivated by deep service, me thinks. You are a great RES leader, Isabella. I also appreciate Grace W’s viewpoint! I think the thing that concerns me is that these are the early days of the Trudeau administration. Subtle navigational errors at the beginning are setting the stage for potentially massive course deviations later on. Of course, he could grow out of all this “shiny mr perfect” crap too! But it seems like it’s very difficult to grow in this way in such an intense public spotlight. As a Canadian, I am relieved that there’s nothing more significantly problematic revealed here. This does explain why Trudeau irks me so much though. Integrity is the most important value to me. Doing and saying things that are authentic are critical for me to respect someone. Personality projections when they crop up rub me very much the wrong way. It is true that there are many politicians in the world who are very significantly more problematic, who are actively saying and doing things that are cruel and inappropriate. Right now, Trudeau is doing things that are generally positive and forward-thinking. He has massive support for this in Canada both politically and by the population at large – it’s worth noting because not all world politicians have that right now. He is still in the honeymoon phase – he can spend lots of money without yet having to increase taxes to fund it (and Canadians seem okay with the massive deficits he’s running). The questionable integrity is a concern going forward, when he has to make tougher choices and when he isn’t able to please everyone. But it is entirely possible he’ll be a decent Prime Minister throughout his term(s). That would be great. On a lighter note, one thing I find hugely entertaining is watching how skillfully he dances through interview questions. Yes, he made headlines internationally by answering a sarcastic press question on quantum computing. I love all these comments and views! I guess my views of Justin are to give the guy a chance. So he likes the spotlight. If he were shoving all the millenials away who were running up for selfies, he would be considered ignorant, rude, and boorish. So he takes the time they want and talks to them. Im counting on his wife, Sophie, to keep him in line and grounded, she seems like an incredible and grounded lady, and she and Justin seem to have an excellent partnership going. It would be very interesting to have an aura reading on her sometime too ? Now my omg momment: Hillary Clinton is on the enlightenment list? I still dont know what to think of her. CATHY, it IS confusing. As you know, there are many ways to learn about a politician, and not all of them are reliable. In every country there are newspapers of record. (Perhaps you can tell us which ones they are in Canada.) In America it’s The New York Times, The Washington Post, and The Los Angeles Times. From the perspective of energetic literacy, at this blog, you find HOT TOPICS at the top of your screen, under the title and second from the left. Then click on the article about Celebrity Readings. To date we have 159 aura readings, face readings, and Skilled Empath Merges. Two of them are about Hillary Clinton. Isabella C., it is nice that you apologized for your comment. Because your comment responded almost directly to the wording of my comment that a big ego is needed to become a politician, yes, it sounded like a direct response. Everyone’s entitled to an opinion. What didn’t land well for me was the tone of the follow up comment, had anyone ever heard of “Public Service.” It was unpleasant to read that. I have the impression that perhaps no one agrees (except perhaps Dave? ), but for my own sense of clarity, I want to restate an opinion that felt to me to be grossly misinterpreted. Senator Elizabeth Warren is another Enlightened politician with what I’d consider a very healthy, strong ego. Standing up to Donald Trump as she has? Awesome. Takes strength, power and a healthy ego to do that. I have never said that all politicians must be motivated by boosting their personal ego. Given the realities of public service, in the U.S., anyway, it takes a very strong person to go through the process of entering that arena. Even a purely service-oriented, “meek” candidate must go through a very challenging process that includes raising tons of money. The reality is that it takes a lot of strength and confidence in order to do this. One last thing…my opinions these days about politicians come from a rather simple process. I’m reminded of the messes Bill Clinton got himself into. Big ego! But, guess what, he clearly learned from it all, became Enlightened and has done loads of good work in the world. Some folks I know have never forgiven him, but I say he has contributed a great deal of good to the world, in spite of scandal and other messes. Really, that’s good enough for me. Maybe Justin Trudeau will get himself into some scandal or another. Given that he’s human and given the reading, could happen. Whatever. It’s not worth it to me to speculate or worry about it or write him off or have red flags about him as a human being because of what Rose shared in her reading. Plus, I’m not even voting for him! Given the epic nightmare the refugees are facing in Europe, and the awful rhetoric about that situation from many American politicians, the guy’s all right with me for greeting those Syrians with open arms. Hillary’s not perfect, but I cannot see getting into an uproar about her foibles, either. She’s working in the right direction and has brought loads of good to the world, on top of her other qualities. In Canada some of the biggest newspapers would be The Toronto Star, The Vancouver Sun, The Globe and Mail, The Edmonton Journal, and The Calgary Herald, to name some of the best known. Yes Ive read some of the celebrity readings, and love them, apparently I have not come across Hillarys yet ? next stop Clinton aura readings! Thanks, GRACE W. Passionately held convictions, beautifully put. Actually I’ve been enjoying all the comments in this thread. The truths expressed are not mutually exclusive, not to me. CATHY, I appreciate your sharing names of the largest newspapers in Canada. Even as large a country as Canada wouldn’t have more than two or three of the most journalistically respected, most authoritative newspapers. A large-circulation paper in my home town is the New York Post. It’s famous for spicy, dramatic headlines, but not necessarily respected for its reporting. Grace W., I’m with you. I don’t think a big ego *by itself* is a bad thing. Pretty sure I have one. On the other hand, I do understand where Isabella is coming from; having a big ego makes it easier to do even the right things for the wrong reasons. For me personally, I tend to find it hard to take an unpopular stand. It’s not that I don’t believe in unpopular things, and not that I won’t stand up for those if pushed hard enough, but my first instinct is always not to “rock the boat” in case people who currently like me would stop. Ego is a human-level survival tool. It keeps you focused on being a person. It’s the instinct to rise to the surface when other parts of us would just prefer to drown… it keeps you learning. In my life, there was literally none in a vested interested in my happiness and well-being. Asking to be treated with respect was “rocking the boat.” Depending on my own self-reliance, self-confidence and, yes, ego has been a valuable lesson. With our political leaders, I think you never know what it takes to be a leader until you do it. Doing things is always different that having opinions… the amount of personal growth it must take to be president of the US must be immense. Thank you for this reading, Rose. I have noticed that some people do respond in a strong, negative way to Justin Trudeau or feel that he is a bit of an actor or buffoon. But I am personally really pleased to read about his Power Integrity. In the election, many Canadians were more than ready for a change from Harper, the previous prime minister. I dont know for sure, but I have a feeling an aura reading of Harper would be even less flattering. As one article said, more than Canadians wanted Trudeau to win, they wanted Harper to lose. I think many Canadians wanted a progressive new direction, and I hope Justin Trudeau is capable of bringing that. Trudeau may not be an Obama, but I am on board with a lot of the liberal partys platforms. And I did not like the outlook for immigrants and Muslims under our previous government. I dont think we often have the choice to elect a pm who is enlightened and inspiring all the way down to his chakra databanks. So I am alright with a pm with an ego who is not (currently) corrupt, if he cares about getting things done. Hopefully that love of political power is not headed in a bad direction. Twice in a row I laughed out loud… after I finished gasping… at the links you supplied. Your whole sequence of comments adds to such a thoughtful, interesting discussion here. Thanks one and all. Yowza, I’ll be chuckling over these photos for the rest of today at least, GRACE T. Hahahaha. Grace W, I do agree with you about sense of self being so important for a politician, or for a person wanting success and memorability. One thing Rose has said is that one peril, or drawback, to having a very pure aura is that others can develop a kind of amnesia about you. Others hear the words that are spoken, and may repeat those words, but are forgetful of the source. The same thing with ideas or accomplishments. Squeaky-clean purity may not have enough stickiness that others give credit for accomplishments, words, etc. In a similar way, I feel there has to be “enough” sense of self for success to happen. Name and face recognition, credit given, etc. And to handle, as youve mentioned, Grace W, the stresses and conflicts of leadership.